The alphanumerical code is the most important piece of information, and it will help you locate the book on the shelf. The last word indicates the site where the book is held. 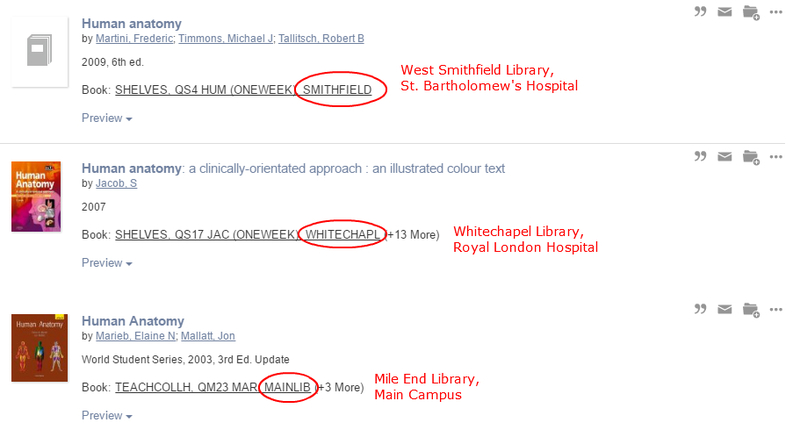 Queen Mary has three libraries: the main one, in Mile End, and the two medical libraries, Whitechapel and West Smithfield. You can find the addresses here. For books in Mile End Library, there is another thing to check. TEACHCOLL stands for Teaching Collection, which is on the ground floor of the Library. It contains all the most commonly used books from all subjects. Tip! If a book is on your core reading list, it will probably be found in the Teaching collection. Tip! 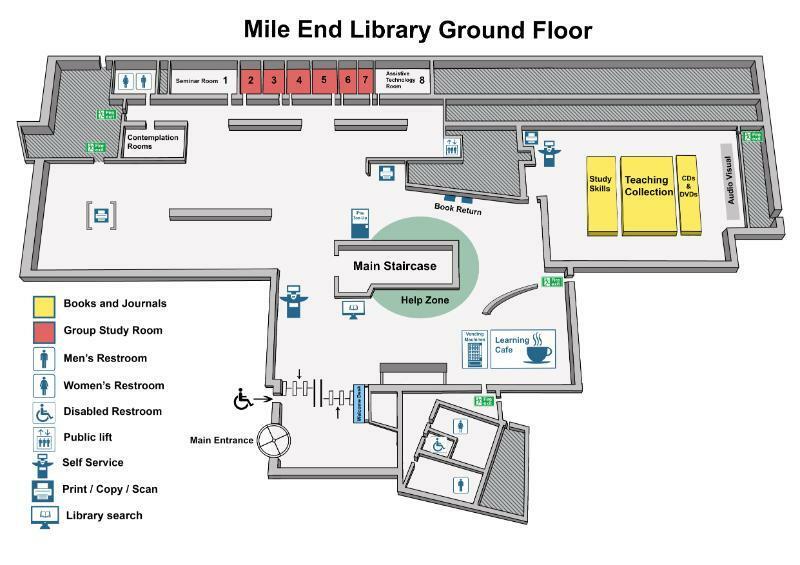 Journals are all on the first floor (north reading room), no matter the subject; however, most of our journal subscriptions are now online only. Check out the catalogue or the e-journals database to find the materials you need. Journals are divided by subject. Within the subject, they are in alphabetical order by title. When you find the journal you were looking for, volumes and issues follow the chronological order. 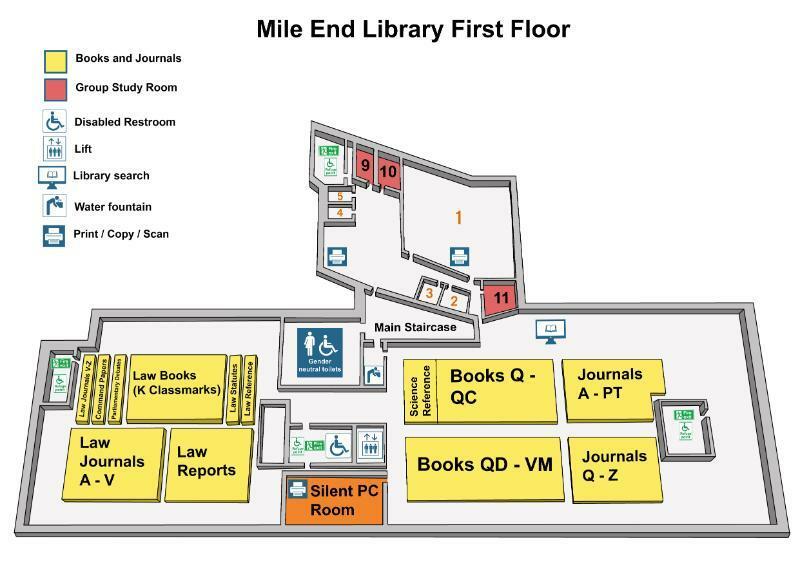 Law journals and law reports are located in the Law section (first floor south reading room). In the drop down menu below there is a comprehensive list of subjects and classmarks and where to find them. Tip! 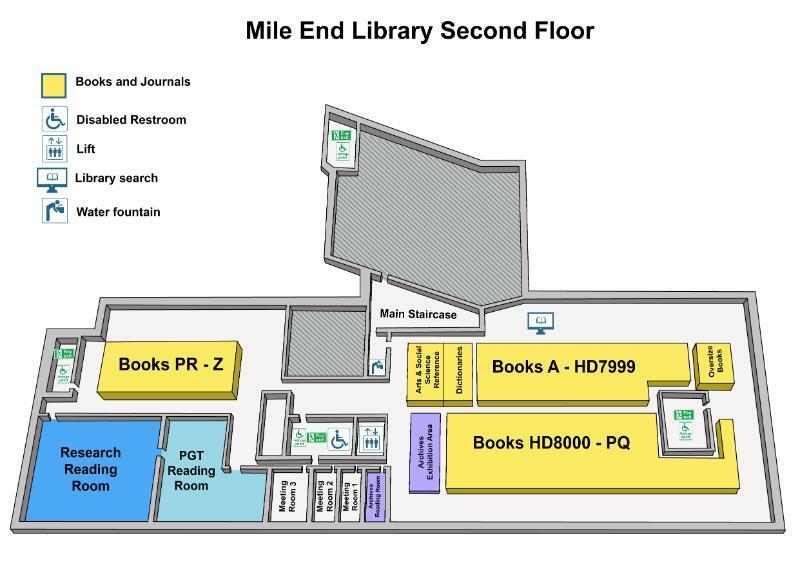 The North Reading Room is the large one, the South Reading Room is the smaller one on both floors. 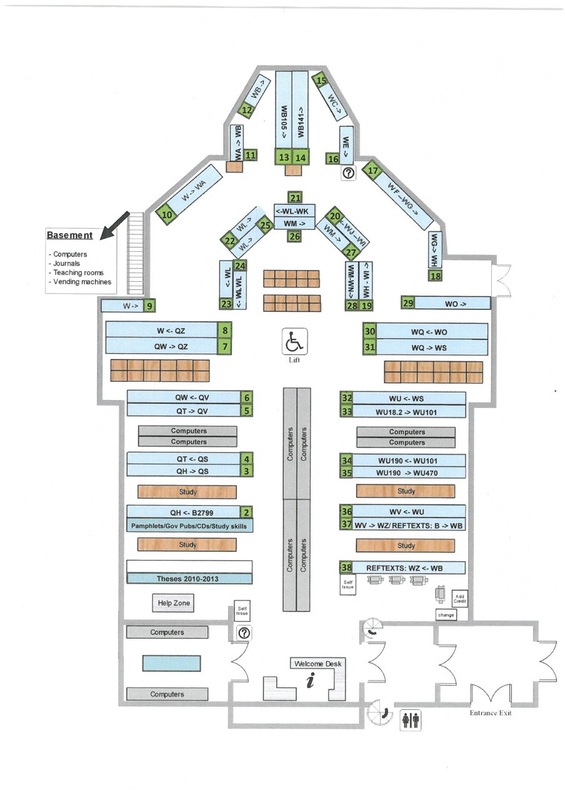 Do not hesitate to ask us to help you navigate the Library, and good luck with your research!